A few particulars & memorandums of the life of the writer of these leaves may not be without interest to my family, descendants & others. These reminiscences are written from memory at the age of 64 years, any diary has not been previously kept. In the jotting down of the following reflections, it will be fitting to devote a few of the first pages to the memory of my late Father and Mother. My late Father, John Smith, second son of the late Joseph Smith, was born at Slack Head Farm, Colne, Lancashire about 1804.1 His Father, during his youth was a Hatter,2 but afterwards took to farming: not staying at any farm for a long period - at Raygill, Ingleton: at Winterskill,3 Ingleton Fells; at Yarlsber, at Stone Grove, Mewith, Bentham; but who finished his course at Overhouses, Botton, Wray. At this last named house which he opened as a Preaching Place & for Worship in connection with the Wesleyan Methodist Society, he himself being a Leader, Local Preacher at various Houses in the West Riding of Yorkshire and North Lancashire, when the circuit stretched from Lancaster, Settle, to Colne including the villages, hamlets and at Farmhouses of the districts before Chapels had been erected at any of the towns. Joseph Smith, with Farmer friends such as the late John Gorrill of Park House, Austwick, toiled on Sundays at the various places to sow the words of eternal life, & to build up spiritual religion, & thus to establish the Kingdom of Christ their Lord in the hearts of men, and thus by walking or riding on horseback long distances, their Sundays were spent in those outside places. They might not be endowed with much of this world’s knowledge or wisdom, or regarded as such, but by Godly lives, by words & deeds, by precept & example, and endeavoured to lead their families heavenwards, and to make the best of both worlds. They were Pioneers, Men of Faith, & their Labour & Faith have not been in vain in the Lord. They lived to see the Spiritual & Moral tone of many uplifted, and they & their descendants have been the means of Planting Churches, and building Chapels in very many places in which they have laboured, for the most part Nonconformists, either in connection with the Wesleyan Methodist Societies or the Society of Friends, not perhaps in direct opposition to the Established Church of England, but to vitalize & help up to a higher moral, mental & spiritual state, than in their time existed in the Established Church. 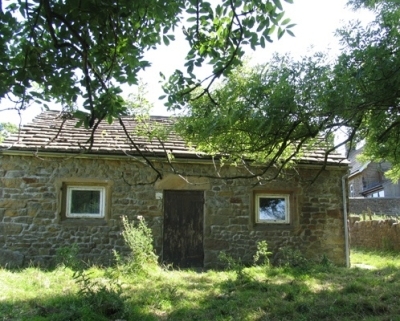 1 Slack Head Farm, Wycoller, Trawden Forest near Colne was a hill farm with rights of common. 2 Hatting was once an important industry in the area. See Christine Workman, ‘The Hat Industry’, in Michael Winstanley (ed. ), Rural Industries in the Lune Valley (Centre for North West Regional Studies, Lancaster University, 2000), pp. 100-123. Obtainable from Centre for North West Regional Studies. 3 Now known as Winterscales; it is near Ribblehead. To return to John Smith's youth, it will be apparent from the above digression, that the atmosphere in which he was brought up, mental, moral, religiously, had very few advantages for education, to even learn the three Rs, as it is now termed. Farmer lads, far from a school, WERE kept at work on the farm, and when at school, the teachers indifferently trained, many at that time settled to teaching because of some physical injury, or having failed in other pursuits. As a youth & in manhood he had a fine ear & taste for music, of which he was passionately fond, in turn playing the Clarionette, Trombone, Flute, or Base Violin4, more especially the two last. He walked considerable distances to hear & in some instances take part in the fine music in some of the Established Churches. the Anthems, & splendid old tunes in the minor key, had a special resting place in his memory, and the singing of which, in later life, pleasurably filled up many quiet hours of country life. 4 Probably cello or double bass. below looking south-west (photo RW). About this time he became a member of the Wesleyan Methodist Society, & became engaged & married Margaret Davidson, (the writer’s dear mother), from the neighbouring farm of Summersgill. 5 A neighbouring holding, correctly known as Helks. It was farmed jointly with Overhouses for some time during the 19th century. "Stock & portion": animals and land. After their marriage, they took the farm Thrushgill, Botton, where their two eldest children were born, Joseph & Jane. At the death of his father, he came to the farm of Overhouses. There, from a monetary point, he was not successful, losing money each year that he stayed. The effect of the then Corn Laws, when wheat could not be sold at less than 80/- per quarter, the duties being put upon all foreign wheat to steady the English product at 80/- per qtr or above.6 This had a bad influence on highland stock farmers, causing very low prices for cattle & sheep. Their good calving heifers had to be sold at £6 to £7 each. Thus farmers were poor, ill fed & badly clothed, and had to go to market in carts, eligible conveyances being a luxury which they could not at that time aspire to. In the year 1842,7 my father removed to Mealbank, Tatham, the farm having been willed to him by his Uncle, the late William Smith of Gamblesholme, Tatham. Here he found plenty of work, first in buying out some small dales in the low land from his brother Francis of Gamblesholme, and possibly one other neighbour. Thus getting the farm compact, he set to work to improve it, by laying out new fences & getting old ones into order; by ploughing & getting the stones out of rough fields, which were utilized in draining the fields; sowing & improving them. The science of draining had not then become perfect, most of them laid wrongly, on a level instead of taking advantage of the good fall. Then by sinking a deep well to get at good water, which was a comparative failure, by being sunk near a Piggery, Calf hull & other nuisance, became very insanitary & unfit for family use, and was afterwards filled up. Thus by plodding hard work, with greater aptitude for improving land, fences, gardens etc. than he had for the commercial part of farming. The close watching of the markets, the good buying & selling of Stock, he seems to have been somewhat deficient in, and in consequence did not farm successfully from a financial stand point, although he was fairly successful in the breeding & rearing of Stock. 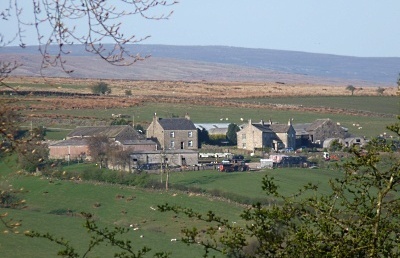 For some years in the fifties my Father farmed a small adjoining farm, 'Further Mealbank', about 40 acres, which he bought about 1856, and about 1857 my brother Joseph was married and for some years farmed the two above farms, my Father retiring from them in his favour. Father lived at the Mealbank Cottage until his death at the good old age of 80 years. 6 The Corn Laws were introduced in 1815 and were designed to keep up the price of English corn by limiting the importation of foreign corn. The conditions under which imports were permitted were relaxed over the next 30 years, but the law was not repealed until 1846. As Smith notes, while this benefited arable farmers, it did not materially assist stock and sheep farmers who relied on purchasing cereals. Alexander Somerville, visiting Lancashire in the late 1840s, found farmers were generally in favour of free trade. 7 A slight (and forgiveable, after 60 years!) error of TD's memory: the census records the family already at Mealbank in 1841. At that time my Father & Mother kept up their connection & membership with the old Society, both of them being Readers of Classes until their death, a period of 30 years, more or less. Personally, John Smith was tall, active, hard working until about 70 years of age, afterwards an invalid. Mild temperament, very desirous to forward his Sons & Daughters interests & welfare in the world. Not a selfish or self-confident man, but retiring, doubtful of his powers, influence & prospects, not so hopeful or joyous, looking on life & people in a sombre, pessimistic light, exceedingly fond of children, with singing & chatting to them, & tried to interest them. Those were days when pictures for children were few & crude. He was well known for probity, honourable straight forward dealings, most conscientious & conducting Family Prayers each morning, filling up pastime with singing & music. In middle life [he] showed considerable interest in young men in Chapel & Church Choirs. Himself for many years (until succeeded by his oldest son Joseph) played the Bass Fiddle & led the Choir at the Wray Chapel. The music at that Chapel was reputed to be the best in the Lancaster Circuit. Up to the time of the separation about 1850, the younger Itinerate Ministers of the Circuit, when visiting Wray, found a home at Mealbank, and after that movement, both the Senior & Junior, with many Local Preachers, found congenial society & a hospitable home with John & Margaret Smith. Now they all have gone to join the number of the Redeemed in Heaven, joining in the Everlasting Song & crowning Jesus Christ Lord of all. 8 Both chapels survive. The one at the west end of the village is still in use; the later chapel in the middle of the village is now a private house. The first dedicated Wesleyan chapel in Tatham was built at Lowgill in 1866. His eldest daughter (my mother) had not much advantage in education, and was sent as a daily scholar to Lowgill School, Master Dixon, the Master, getting some knowledge of the three Rs.12 She, however, acquired a strong liking for fancy work, in the way of Clipping, Letters, Birds, & devices which were afterwards framed & some wonderful ingenious specimens, handed down to her children. She was musical and was a fair singer. She was probably a singer in the Tatham Chapel Choir, being brought up as a Church Woman. She, however, attended the preaching services, which were at that time held in the house of Joseph Smith at Overhouses. Through the earnest & evangelical teaching of the local & itinerant preachers then, she became a decided Christian, joined the Wesleyan Methodist Society, & remained a thoughtful, intelligent member, class leader, chapel steward to her life's end. At the age of 28 or 30 years, she was married to John Smith at Melling Church, at that time the Church for the Parish of Wray with Botton,13 the Bride, Bridegroom, and Weddingers, riding on Horseback to and from the Church, 7 or 8 miles. Woe betide the hens, pigs, animals or people who came in the way of those fleet, jovial riders on their way from the Church to Summersgill or Overhouses. The young couple first farmed at Thrushgill for 2 or 3 years, then at Overhouses until the year 1842, when they removed to Mealbank, Wray. Her two oldest children Joseph & Irene were born at Thrushgill. The writer, Thomas at Overhouses, and John, William & Elizabeth at Mealbank. John, a fine Lad died a few years old at Mealbank. Joseph had a sudden translation (residing at White Coppice, Chorley) on Christmas Day, 1901 at the age of 67yrs. The other four remain to the present day. Of the personality of Margaret Smith, my mother, the writer has some trepidation & fear, doubtful of his powers to rise to the correct estimate and ideal to portray her noble qualities of mind, spirit, parental solicitude and thoughtfulness. She was thrifty, enterprising, a great lover of nice flowers & her good garden, well-laid out. The stock, dairy & household management claimed & found scope for her not mean abilities, and in which she was successful. Her husband found in her a helpmate in all the enterprises of family, farm & social life, well capable from practical experience to take the lead, and directing all domestic, dairy & stock-rearing responsibilities. The Wesleyan Church, for more than half a century, had in her a most zealous, consistent & faithful member, at all available services, as leader, kind but faithful, as visitor of the sick & dying, most exemplary, to poor or rich neighbours, attentive & helpful, encouraging them to higher & holier life & aspirations. In her suffering, which was of long duration & often painful, from Rheumatism, fever & ulcerous leg, she was patient & hopeful, which tended to refine, purify, to mellow & prepare her for the highest service of her Lord & Master on earth & in Heaven. It was in & for her family that occupied her life's greatest thought & effort. Her maternal love & affection was intense, for her children's food & clothing ever thoughtful & most solicitous, and did their best with the very limited means they ever had to do on. Their greatest thought, aim & desire was to inculcate, train & lead them to high moral & spiritual life, and thus to influence them in the morning of life & in after life, to habits unselfish, considerate of others, & kindly, and to principals [sic] that have been invaluable to them in after life. If their children have risen to be & to do any good in the world, they owe much to their parents, in their best endeavours to lead them to the fountain of all good. On the night of the 9th of October 1838, the family at Overhouses, Botton, Wray, Lancaster, was aroused and John Dean (a distant cousin of John Smith, & then servant man at the farm) was dispatched all speed to High Bentham for a Doctor, but on returning to Overhouses, found that the services of the Doctor of little use, as the Baby Boy was born on the 10th. In the course of time he was baptised at the above house by the Rev. Dernellay, then the very active & esteemed Wesleyan Minister in the Settle Circuit, and was given the name of Thomas Davidson Smith, to keep up in some manner the name of my Grandfather on my mother’s side. The name Davidson was held in considerable respect in Tatham & Botton, & then and in after years he and some of his descendants (not all) were esteemed as owners on a small scale, but farmers on a much larger scale in the district of Stock Bridge, Rantryfold and Summersgill. The writer, at the age of 4 years, was brought from Overhouses in 1842, with the family to reside at Mealbank, Wray. This farm, an old family possession was left to my Father by William Smith (Uncle Billy), late of Gamblesholme, adjoining the above, on his decease. 9 Tatham Fells church parish register lists Margaret Davidson born 8 Feb 1805 at Rantree Fold, where she was living when baptised on 3 March 1805. 10 Manchester? Oldfield Lane? The precise significance of this is obscure! 11 Death records suggest he died in 1858. 12 Richard Dixon, the schoolmaster, was married from Knott Hill to Anne Holme in 1822. He lived initially at Lanshaw where his first daughter was born in 1823 but had moved to Lowgill by 1827. He is recorded in 1841 and 1851 at Lowgill - possibly at Ivy Cottage and was one of the enumerators in these years. 13 Although these farms were only the other side of the valley from Tatham, they were in the township of Wray with Botton which was then in parish of Melling as were the townships of Roeburndale, Hornby, Wennington and Melling itself. The family then consisted of Father, Mother, Joseph, Jane & Thomas, John, Wm Glover & Elizabeth. The last three were born at Mealbank. The first of these three, John, died as a little boy & was interred at Tatham Church. Joseph lived at Mealbank, married Agnes Baynes,14 and farmed there until he removed about 1874 to Rooten Brook Farm,15 Quernmore, Lancaster, where he farmed 9 years, being under lease & the farming interest declining all the time, added much to his cares & loss, indeed lost all he had. His wife, Agnes, his daughter Margaret Alice, son John, then Agnes Ellen & Edith, the elder ones sharing his troubles, losses & trials. His landlord, Major Whalley, being secure under lease, would not make any abatement of Rent. About 1884 they removed to White Coppice, Chorley, when with financial help they made better out. Three years afterwards his troubles of another nature were acute. His daughter Agnes Ellen was accidentally drowned in the Mill Lodge Weir, and about 2 years later his wife was suddenly removed by paralysis, and died by a week’s sickness.16 Thus a blight was made in his family. A few years later he married Miss Jane Skerrow of Lower Salter, near Wray.17 A very happy union indeed until it was suddenly cut short by my brother’s death by Heart & Liver Trouble on Christmas Day 1901, leaving a lonely widow. All his children were previously married. My sister Irene lived at Mealbank Cottage, watching the decline by old age of Father, & at last Mother died full of years, honours & respect. Soon afterwards Elizabeth, our youngest sister was married to Richard Thornton, of the Cragg, Littledale, Caton. Irene removing with them to the Cragg, and where a very happy home was established, and with one son, Wm. Smith Thornton, reside there until this present day. 14 1857 Settle Registration District. 15 More commonly spelt Rowten Brook. The family are returned there in the 1881 census. Hill farm of 210 acres on the side of Clougha Pike. 16 Smith’s chronology is incorrect here. Agnes Ellen, Joseph’s wife, died in the winter of 1883-4 aged 49; his 19 year old daughter of the same name drowned in the summer of 1884. 17 Married 1887 at Haslingden. Jane was his cousin and would then have been in her late 40s. She had previously been unmarried. She had stayed at Mealbank in the early 1850s when she attended Wray School; TD staying with her mother in Roeburndale to attend the school there. See below on TD’s schooldays. In 1881 she lived with her widowed mother and family at Lower Salter, Roeburndale. William Glover Smith, my Brother, lived and was educated to the age of 15 yrs, and was afterwards apprenticed to Mr Thomas Barrow, Woollen Draper & Tailor, of Market Street, Lancaster, & afterwards managed a Shop for him at Cockermouth, where he became engaged to Susan Irvine of Cockermouth. Soon after started business at the corner of Cheapside & Church Street, Lancaster. Sometime after [they] married & lived in Gage Street, Queen Street, The Greaves & at Victoria Villas, Regent Street, Lancaster.18 In business, buying a premises in Market Street, [he] removed to that double fronted shop, and carried on a successful business. [He] had family of loving children, Annie Irvine, Eunice, John Irvine, & Marrie.19 Of this family it may be said that the love of music has been their ruling passion, Father, Mother & Children becoming proficient in vocal music, part singing, but more still at the violin, piano & cello, & for a time the study & teaching of music to Sunday Schools & Choirs was voluntary given at Sulyard Street Wesleyan Chapel, Lancaster, and many came to learn on the Tonic Sol Fa principle. Later in life Annie & Eunice were & are teachers of the Violin, until the first, Annie, married Tom Tyson. This marriage was greatly gloried in for a time, especially the female portion of the family, but it was the means of introducing much trouble, trial, deception & almost financial ruin to the family. It is to be regretted that the natural bent of the females of this family, & determination to be first, to lead, to display, led to many heartburnings, troubles & disrespect. To return to the record of my own life, and object of these memories, I take up the thread at 1842, at 4 years of age, & arrival at Mealbank. I remember distinctly, the death of my brother John. His being ill, & laid in the parlour room after death, the funeral in Tatham Church and a tree being planted to his remembrance at the west side of the house, in the then neat Garden, but now cleared off. At my mother’s wish & under her direction, at suitable times, I was fully occupied in weeding the walks, borders & beds, also planting & rearing & gathering plants, fruits & vegetables in the above Home Garden, (which afterwards was allowed to go to wreck), and in many ways assisting in farm yard & field work that farmers’ boys of that day had to do. On Sunday for about 6 years we were taken to Sunday School & Service held at a chapel formed out of a house belonging to Uncle Francis of Gamblesholme, by the riverside at Wray, until they built the new Wesleyan Chapel in 1848 at the West end of Wray. 18 In 1881 he lived at 2 Regent Street, Lancaster and was described as Tailor & Woollen Draper Employing 8 Men 7 Boys & 7 Women. 19 His children in 1881 were returned as Annie, Emily, John and Mary. Eunice may be mistype or a family name. At a suitable age I was sent along with my brother Joseph to week-day school at Tatham. Old School, Lower Tatham attended by T.D. 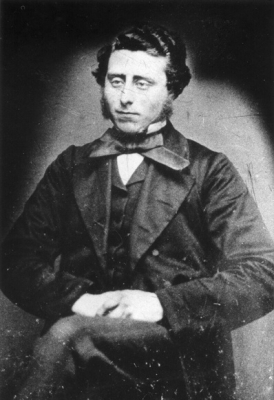 Smith in the 1840s. The building was superseded by a new school in 1875-76. Nathan Robinson, the master, being lame on one leg, used a walking stick.20 He lived at Meggs Farm. He was not a bad teacher in the way of the three Rs - Reading, Writing & Arithmetic. He made full use of the chaste stick, and had a good aim in throwing a ruler or stick the full length of the school, at the head of boys or girls who were misbehaving or not working with the command, “bring that up”. The result, so many knocks on both hands given with great force. He could do a swear, and was not considered the best tempered man. We had to commit to memory & repeat portions of the Church of England Catechism, & had to commit to memory portions of English Grammar, but without any remarks & no opportunity of learning Grammar or other important & essential subjects; parsing, mental arithmetic, the formation of sentences, & teaching of other languages, higher mathematics, beyond fractions & decimals, drawing never attempted. No attempt at explaining the English Grammar, no History, Geography, or Scriptures, or Composition. Only the Anglican Church Catechism. In fact, no teaching calculated to simplify or make attractive the subjects to children, as now so popularly taught in Kindergarten or in all Elementary Schools. Pictures were of the crudest kind, & drawing not thought of in the country schools. The holidays were not arranged as at this day, 1902. They were obtained at certain times of the year by barring out the Master & bargaining with him the length of time before he was let into school again. The leading scholars receiving a good thrashing from him for taking part in the barring out business.21 Much injustice was meted out to the boys, by very frequently getting the wrong boys. The little old building stands as a monument of the estimate formed at that day of education, and the sanitary & unsightly buildings, then thought good enough. They were certainly not calculated to promote the love of beauty, idealistic or elevating to the children. The games in the small outlet times were usually standing or running, jump or pole leap, spell & new marbles, running races. The day often ended with a battle of stone throwing, between boys from the Wray side & those from Millhouses side, in which the writer got his front teeth broken & disarranged. 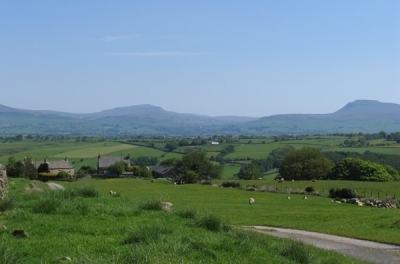 20 Nathan Robinson had been born in Howgill, Yorkshire and was returned in the 1841 census as a lodger at Meggs Farm. In 1851 he was schoolmaster in Wray, living with the publican William Procter at the George and Dragon. Ten years later he was on his father’s farm in Arkholme and in 1871 at Hutton Roof, where he was schoolmaster of the New School. He briefly taught at Tatham Fells Chapel School in 1876 but by 1881 was living with a brother in Yorkshire. His mother’s maiden name was Holme. Various Holmes were schoolmasters in the early 19th century; other branches farmed in Botton and Tatham. 21 This practice is widely documented. Its origins, and demise, are obscure. The next school attended was at Lower Salter, (after a little further time spent at Tatham School with John Higham as teacher. A mild thoughtful sickly man, with little energy or teaching power.22 At Salter, an arrangement was made as a weekly boarder, betwixt my cousin Jane Skirrow & self. She coming to Miss Jackson's School, Wray & staying at Mealbank, me staying at Salter, and was taught in the old House there.23 The Master called Barham, started the day, & ended by having a portion of the Church of England prayers. Nothing is remembered of the teaching of this man, further than that his capacity & accomplishments were of the most meagre character.24 In passing I feel bound to record my impressions of the peace & order of the family life of my Uncle Peter Skirrow & Aunty Betty. The first, studious, thoughtful, with very few words, reminds me that silent waters run deep, conducted family prayers with no wasted words, but evidently with humble, contrite spirit approaching God with thanksgiving & short earnest petitions, my Aunt looking well after her household in providing its order & cleanliness, although I believe at the time almost a martyr with indigestion. With such a Father & Mother & their example, no wonder their family of four sons & four daughters should rise up to call them blessed, and to be ornaments in their own day & generation, serving God with much fidelity & usefulness. 22 John Higham was returned as schoolmaster in 1851 and 1861. He also lodged at Meggs. He died in his late 40s in 1869. 23 The same Jane Skirrow who later married TD’s older brother Joseph – see above. 24 Possibly the W E Barham who was recorded as a 23 year old schoolmaster lodging in 1851 at Newton’s Farm, Galgate. He had been born in King’s Lynn, Norfolk. This was at the age of 12 or 13 years. My parents being desirous of giving me the best education which they could afford, at the age of 14, they sent me to the academy of Mr Richard C Driver of Leeds, where my cousin Joseph Smith of Gamblesholme had preceded me by 12 months. R C Driver was my father's cousin, a true type of a Yorkshire Methodist & Class Leader, much respected in the connection.25 He worshipped at Oxford Place. At that time, the site where the Town Hall now stands, was a private house, [with a] large garden surrounded by a high wall. The day school was at a corner just above the chapel & opposite the then new Baptist Chapel. Our outdoor exercises were a walk to Woodhouse Moor, being not allowed in the Town. At this school, the first half year, we had 3 boarders, the second half year was cut short by my cousin breaking out with Smallpox. We had 4 boarders then, & we were immediately sent home. The board & school fees amounted to 30 or 32 pounds per year. At this school I had some chance of having grammar explained in classroom with other plain commercial education subjects, and was well looked after in writing & the formation of letters. The master afterwards became the writing Master at the Leeds Grammar School. He had made the subject a special study. I afterwards got a prize for Writing. The Master there thought I might become a farmer in after life, gave me some knowledge of Mensuration, Land Measure & a very little of Geometry. I had also at nights, at spare moments, to learn Pitmans system of shorthand writing, which was at that time in its beginning stage. My time there was all too short & had only the chance of initiation into the new school system and beginning to find my feet on the way to knowledge, then left. I have felt the want of a more general & liberal education all my life since, and it has been an obstacle in my way in attempting to attain to the highest & best positions in the business world, the social & religious world, imperfect results in these being the consequence. At the Leeds School on Sunday afternoons I had the advantage to attend a catechism class. 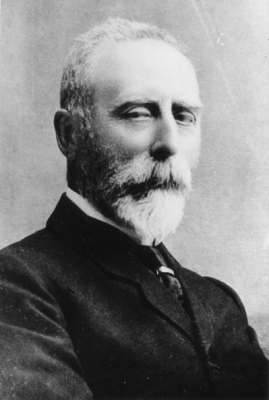 25 Richard C Driver was the author of several books on arithmetic and measurement at that time including The Preceptor’s Manual of Questions and Exercises in Arithmetic (1856). He was writing master at Leeds Grammar School 1862-75. At 15 to 15½ years of age my time was spent in Farm Work at Mealbank. I well remember shearing corn on the field next to Tom Parack [sic] (Hired Hand),26 17½ Stooks in one day, not bad for a youth short of 15 years. The general farm work in the hot sun in summer, & I very often suffered from sick bilious head aches, which was one of the reasons which led me leaving farming & going into business life. My father remarked that, “If I pleased myself and did not succeed, I should only have myself to blame”. In April 1853 I saw an advertisement for a youth as an apprentice to the Grocery Business being wanted by Mr Wm Beckett, 42 Church Street, Lancaster. I put a note in my Father's way asking permission to apply for the same, which was granted, although with much apprehension & anxiety by my parents & others at home. The position was gained & arrangements made for me to stay 4½ years, until 20 years of age. 26 Tom Parrock is the name of a Mealbank field on Trinket Lane (number 149 in the 1848 tithe survey). "Parrock": a small enclosure of grassland (variant of paddock). TD presumably inserted "Hired Hand" to make clear that he wasn't simply helping on the family farm, but was being paid directly for his work. T.D. 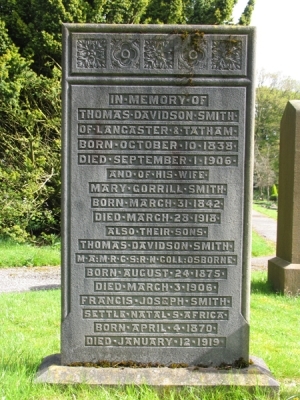 Smith family gravestone in Lancaster Cemetery. Other members of the family are buried in Lancaster and Tatham. 27 The family only sold Mealbank in the late 1970s. The posthumous date stone above the door commemorates TD’s remodelling of the farm: TDS 1908.